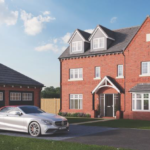 Create Homes has announced the release of the first 17 properties in phase 1 of a 55 unit development in Inskip, Lancashire. The development, named St. Petersfield, is the second by the North-west based housebuilder. It has a GDV of £14.5m, and contains a mix of detached and semi-detached two-, three-, four- & five-bedroom houses and a select number of two- bedroom bungalows. 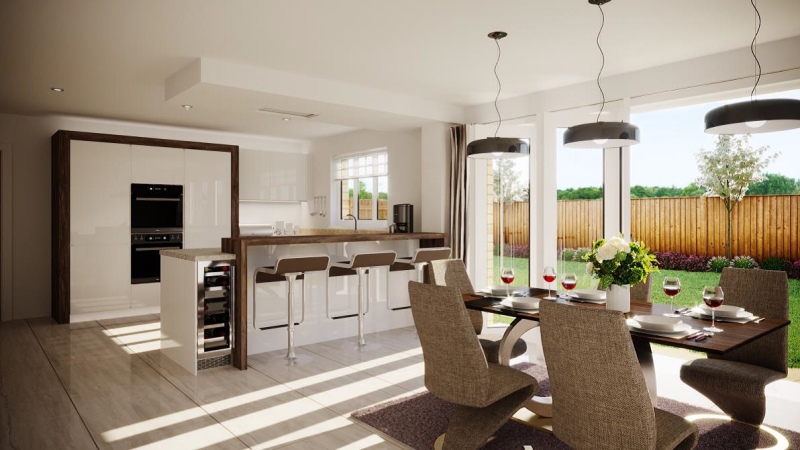 ‘The Sowerby’ is a five-bedroom home which has been richly decorated with an autumnal palette and the use of contemporary dark furniture has given the large living spaces an extra special ‘wow’ factor. ‘The Rossall’ has a soft colour palette throughout, keeping the four-bedroom home light and bright – whilst adding glamour with the use of subtle metallics. Both properties showcase handleless Siematic kitchens, designed and installed by Stuart Frazer; integrated Neff appliances; oak veneered doors and security alarms; as well as block paving and a fully fenced & turfed rear garden – all of which are standard across the development.